Major General Zhang Shibo has been appointed the new commander of the Garrison of the Chinese People's Liberation Army (PLA) in the Hong Kong Special Administrative Region (HKSAR). 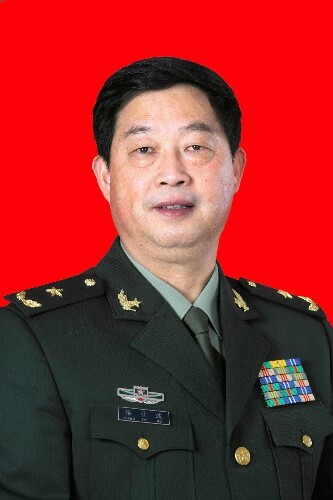 Lieutenant General Wang Jitang, Zhang's predecessor, has been promoted to vice commander of the PLA Guangzhou Military Area Command, according to a decree signed by Chinese President Hu Jintao, who also chairs the Central Military Commission. Zhang was a group army commander before the new assignment. Lieutenant General Zhang Yang, political commissar of the PLA Guangzhou Military Area Command, announced the new appointment at the PLA Hong Kong Garrison on Sunday. On Monday, Zhang Yang, Wang Jitang, Zhang Shibo, and Major General Liu Liangkai, political commissar of the PLA Hong Kong Garrison, called on Tsang Yam-kuen, the chief executive of the SAR Government. Tsang congratulated Wang Jitang and Zhang Shibo on their promotions. Wang thanked the SAR Government and Hong Kong people for their long-time care and support to the PLA Garrison, his own work in particular. Meanwhile, the new garrison commander said he will work with Liu to lead the PLA officers and men in carrying out their duties, so as to make new contributions to the long-term prosperity and stability of Hong Kong.